Our Chattanooga Invisalign services provide a modern approach to braces and straight teeth. The custom fit, clear plastic aligners fit comfortably over your teeth, gently and gradually shifting your teeth. 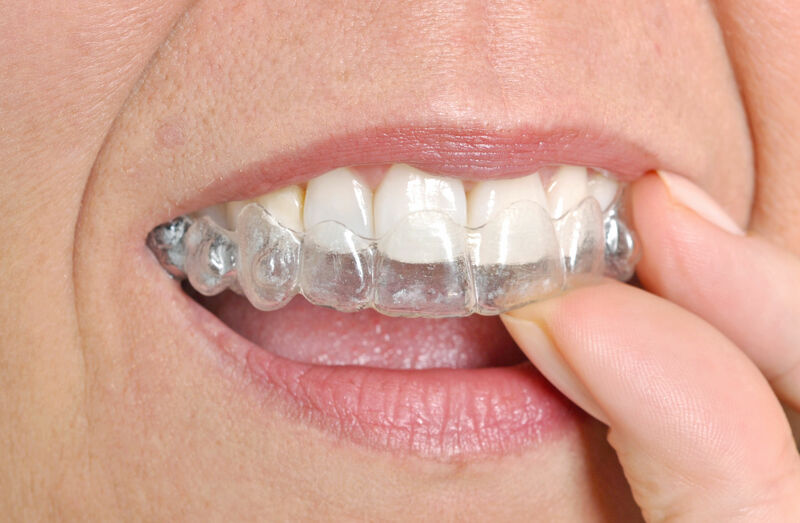 Unlike traditional metal braces, there are virtually invisible. With Invisalign, you can enjoy the benefits of straight teeth without the interference or appearance of traditional braces. The process uses a series of retainers designed specifically for your teeth. Each of the retainers will gentle apply pressure, moving your teeth to the target alignment. Invisalign is designed with your lifestyle in mind. The retainers can be removed at meals and will not interfere with your brushing of flossing routine.